"The techniques I learned during this training really took my injector skills to the next level! I can now combine dermal filler treatment with PDO threads for the most optimal results. Thanks for another incredible training!" This 1-day hands-on workshop features training on Absorbable PDO (Polydiaxanone) threads, an innovative, minimally invasive & effective technique to achieve, safe in-office tightening and repositioning of the skin. PDO threads are placed in the superficial tissues to lift and tighten sagging skin tissue. The procedure requires no surgical skills and delivers great results with virtually no complications. In the morning, comprehensive lectures will include history, chemical and biological properties, biodegradation, indications for use, contraindications, complications and side effects, prevention and management of complications. This hands-on workshop will teach participants various basic and advanced techniques using PDO threads. Working in pairs, each participant will learn how to perform a non-surgical “face-lift” using PDO threads. 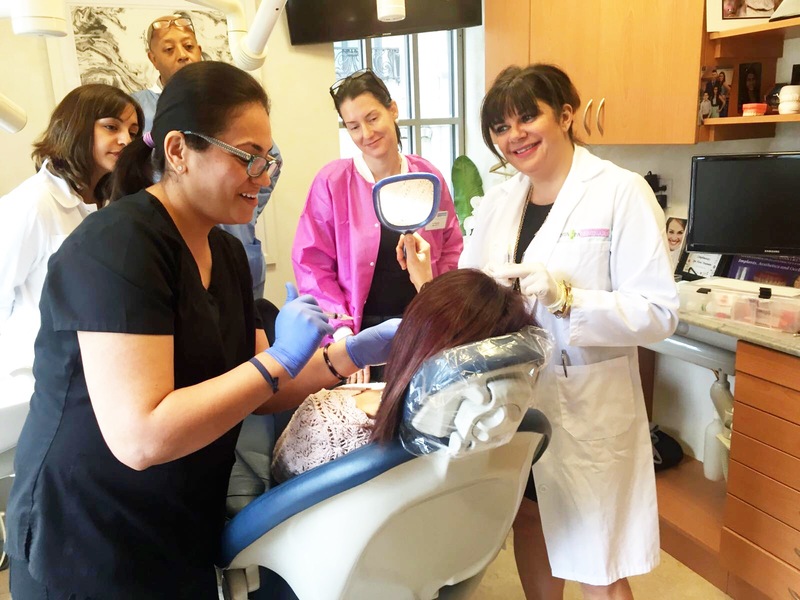 Each participant will be taught how to insert smooth PDO threads in a crosshatch or basket-weave pattern for lifting and filling the wrinkles of the upper lip. This is useful for the treatment of smokers’ lines and for emphasizing the vermillion border of the lips. 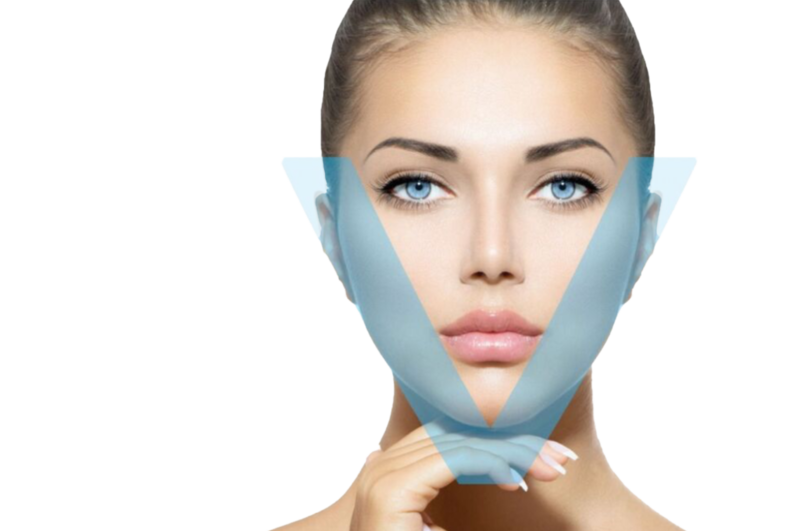 Each participant will learn a foolproof method to reposition skin in order to accentuate the cheeks, diminish the jowls, and tighten the jawline. Participants will benefit from a one-on-one clinical experience supervised by our expert instructor. In addition, participants will observe various cases to fully understand how to treatment plan patients for the PDO treatment. 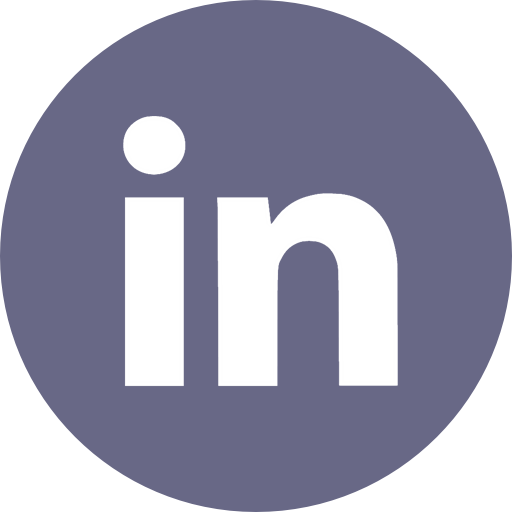 A PDO vendor will also be on site to discuss marketing strategies and inventory protocols. Each attendee will receive a complete lecture slides manual and practice documents such as consent form, model guidelines, and protocol policies and purchasing sources. Bonus Kybella Training Available during this PDO training workshop! Benefit from a dual training experience and learn the cosmetic applications of Kybella, a formulation of a naturally occurring molecule in the body that works to contour and improve the appearance of the “double chin” by reducing moderate to severe fat on the upper neck. Our Kybella hands-on training covers how to safely administer Kybella, the anatomy of the submental region, patient selection and comfort, what to consider post-treatment, and even how to customize the treatment to your patients’ individual needs and desires. 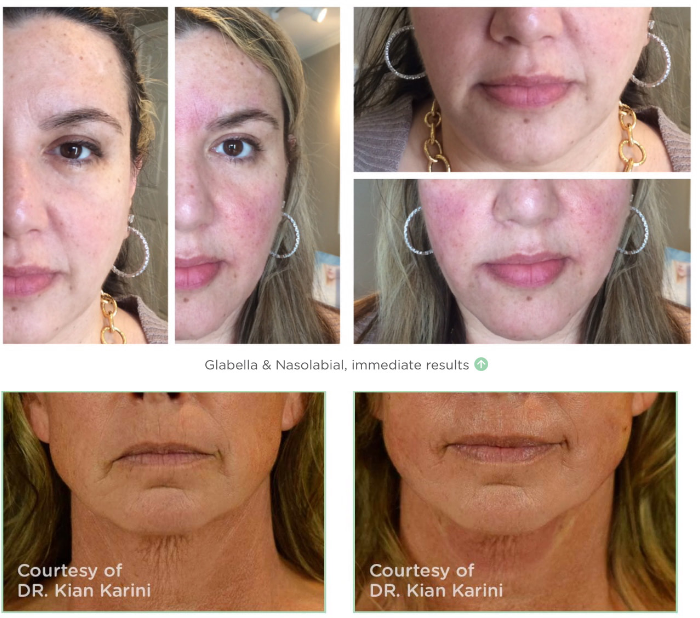 PDO (Polydioxanone) Thread Lift is a new minimally invasive technique offering a subtle and natural looking lift that can generate collagen and elastin with the effects lasting typically 1-2 years. Polydioxanone sutures have been used for more than 30 years in surgery for cutaneous and subcutaneous suturing. Considered safe and hypoallergenic, this material meets all the requirements established by the United States Pharmacopeia (USP) for suturing. PDO Absorbable Threads may be combined and compliment many existing modalities such as Botox & Dermal Fillers and have very few contraindications and side effects, and minimal down time. The use of PDO Threads shows visible results of rejuvenation and pathological stimulation of as much as 100% new collagen. Patients confirm increased skin rejuvenation, skin lifting, brightened skin tone, increase in volume, and an improvement in skin wrinkles. The procedure is performed in-office without any anesthesia. 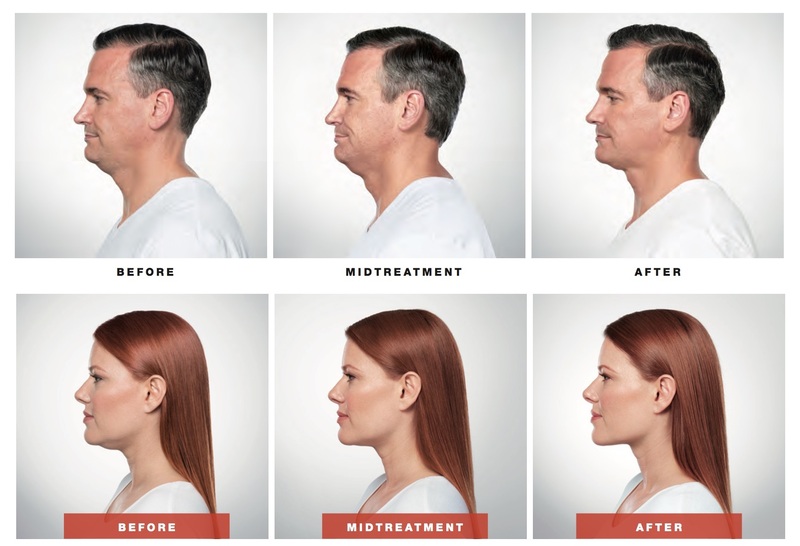 The Kybella treatment is quickly rising in popularity due to its status as the first and only FDA-approved drug that with an indication for submental fullness. Prior to Kybella, the only other option for patients looking to treat this issue was to undergo liposuction. While liposuction is still an effective treatment, Kybella leaves the remaining skin tighter, whereas liposuction sometimes has issues with leaving behind excess skin, lessening the effect of the treatment. The number of injections and treatments required depends on an individual’s submental fat distribution, and once their aesthetic goals have been met, a retreatment should not be needed, as once Kybella destroys the fat cells in the neck, the cells should no longer be able to store or accumulate fat.